Flood Bros Disposal presents The Skinny & Houli Show and this week we welcome back our old friend Steve Davern to the show. Steve is the founder and the force behind the Annual Cash for Kids Johnny Cash Concert at the Irish American Heritage Center. All proceeds from Cash for Kids benefit the Gompers Park Athletic Association for boys and girls baseball and softball programs and Steve had been putting it together for over a decade, this year scheduled for Sat. January 20th at the Heritage Center. We chat with Steve about the upcoming concert and he performs a soulful rendition of “Ring of Fire”. Then Steve’s childhood pal and another longtime friend of the show, John Maher, visits with Skinny & Houli. John is the Assistant States Attorney who helped convict the attacker of young Irish J-1 student Natash McShane and sent the blagguard to prison for 90 years. Well done, John! 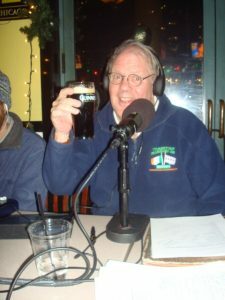 He’s running for judge in the upcoming election in March and we urge everybody to pull the lever for our pal John Maher. Steve Davern closes out the show with an original tune he performs with his band The Dark Passengers. Great show!